Recently I was talking with two friends who both have longstanding careers in the outdoor industry, one as an editor at Backpacker and the second an editor at GearJunkie. I mentioned that a co-worker had introduced me to an incredible backcountry ski spot last season on an early morning “Dawn Patrol” tour before work. In fact, I said, I’ve done this tour with a number of my co-workers. 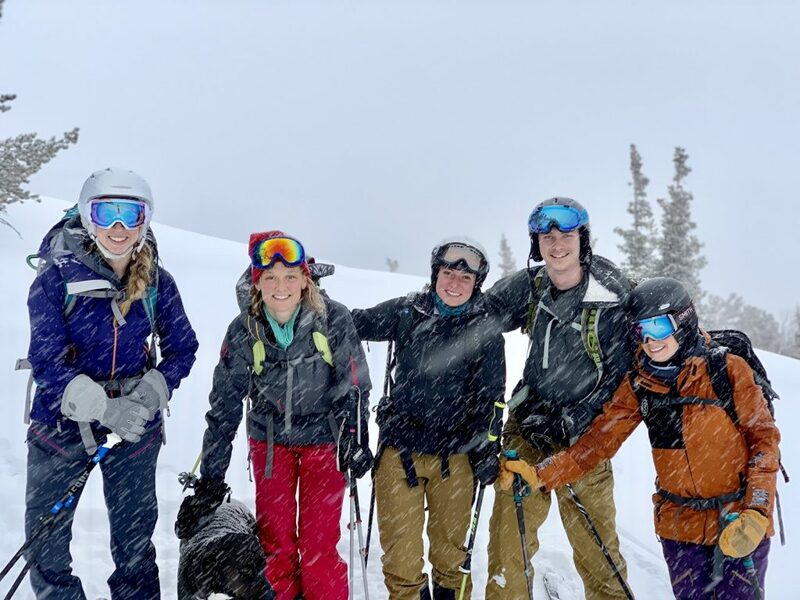 The gearheads were intrigued; while a morning ski tour with co-workers wasn’t out of the realm of possibility for them, they were surprised by the turnout from a marketing firm. I couldn’t blame them. My former life involved working at an ad agency on Fifth Avenue in New York City. While people had varying and diverse interests, given our Manhattan location (and small closet spaces to store equipment), kicking off the work day on skis was never really an option. Landing in Boulder, and more specifically at Vermilion, I’ve been lucky to find a great group of people to spend working hours with, and get after mountain adventures in our down time. Co-worker recreation used to mean venturing to local NYC drinking holes. Now the adventures include sport climbing in Boulder canyon, backcountry hut trips near Aspen, hiking the Arapaho Traverse in the Indian Peaks, camping in Kenosha Pass, and scrambling up the 2nd Flatiron in Boulder. This fervent love of the outdoors comes through in some of Vermilion’s clients, including the Town of Vail, Aspen Snowmass, and recent engagements with Protect Our Winters and PeopleForBikes. We don’t just “talk the talk,” touting the great access we have here in Boulder. For us, that’s a given. At Vermilion, we work with a number of partners to amplify their mission of addressing climate change through sustainability and political impact. Culture (in my opinion) is much more than the foosball table, beer on tap, or the DJ headlining the company holiday party. Culture is defined by people. But it’s also something more basic: it allows employees the space to launch and cultivate shared passions leading to collaboration, camaraderie, and at Vermilion, a mutual desire to create great work for great clients. So by that metric, Vermilion is doing pretty darn well, I think my gearhead friends would agree. Sarah Dalia A New England native, Sarah began her career at Grey New York where she developed national digital initiatives for pharma brand, Eli Lilly, with the aim to modernize the category. After two years in Manhattan, Sarah packed up her Jeep and moved to Boulder, where she worked to reposition brands like Clayton Homes and Earth Balance. 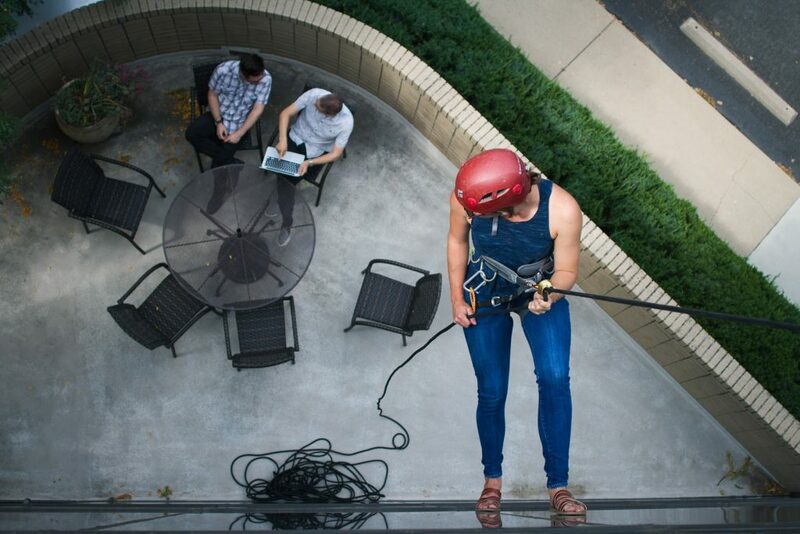 Sarah brings deep integrated marketing campaign experience to the Vermilion team, but when she's not executing great creative, she's climbing up a mountain – or skiing down it.